Hello! 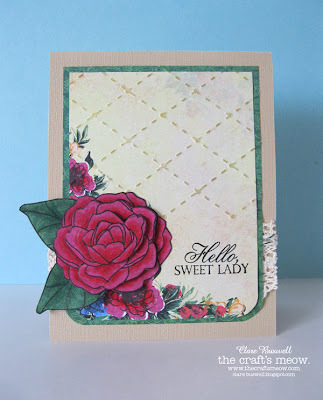 I'm here to share a card I have over on The Craft's Meow blog today using one of my favorite flower stamp sets - Happiness Is. 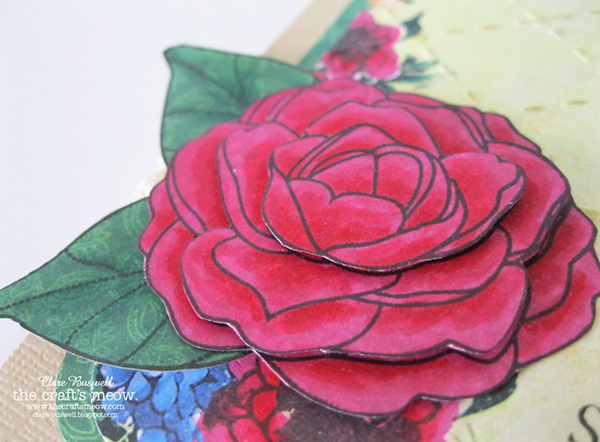 To add some dimension to my flower I stamped it three times onto some patterned paper from the Introspection collection from Prima and added some shading with Distress Markers. I cut a different section of the flower for each layer and used Collall 3D Glue Gel to layer them. The sentiment is from Sweet Sentiments also from The Craft's Meow. 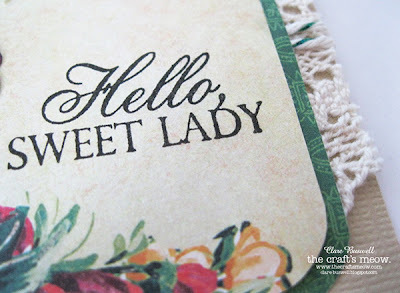 All the patterned papers I used are from the Introspection collection from Prima. Super card! 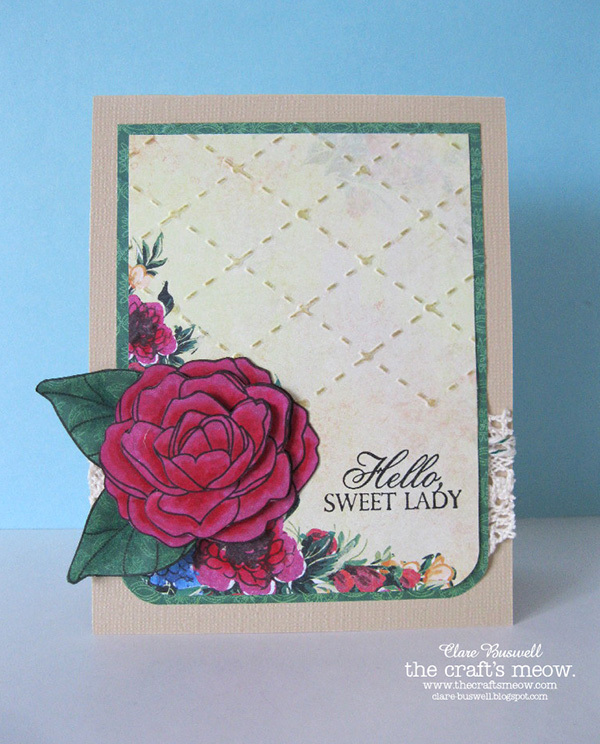 That treble stamping and layering of the flower really makes it pop and I love the added detail of the embossing folder! 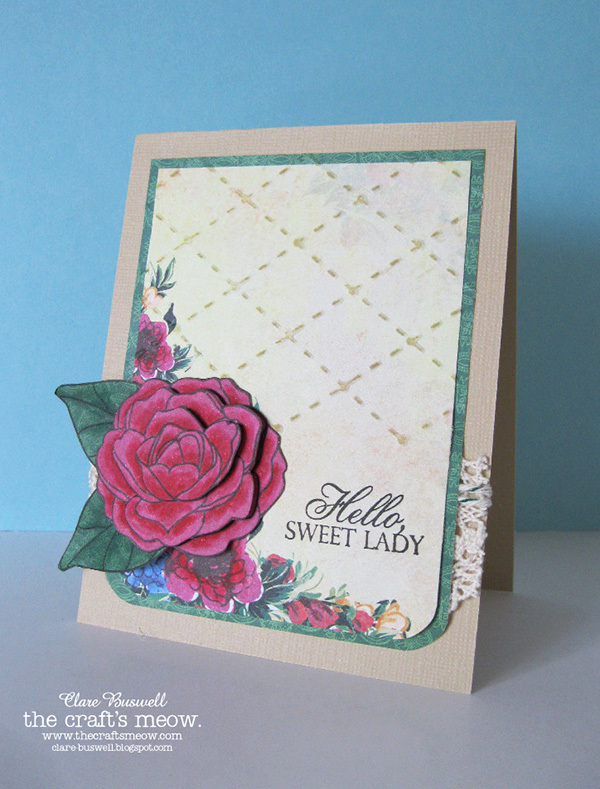 Great stamping, coloring and layering. I love that stitching folder. Really great card.